Accountancy Group provides a complete approach to your business and commercial requirements – with a personal touch. Specialists in tax and accounting, management consulting, business advisory, SMSF, tax planning and growth strategy, Accountancy Group has a solid reputation for providing businesses with excellent commercial and financial results. Accountancy Group has grown to provide services that add value across your entire organisation, with in-house specialists ready to assist at every step. We tackle all kinds of business issues, streamlining business processes to ensure solid foundations on which our clients can grow profitably. Just consider us partners in your ongoing success. Established in 2001 we have the expertise to provide professional and effective accounting and advisory services to all industries with specialties in medical, construction, professional services, retail and hospitality. We have an expert in the industry you’re in. With a national presence, we are well placed to assist with the growth of your business no matter where you’re located. We are equipped to offer the personalised service of a small firm, together with the capabilities, support and resources of a large national company. We believe in and actively promote cloud-based technology and management systems, to bring our clients innovative functions and features that are expected in today’s business world. Accountancy Group has always had a strong commitment to quality and service. As members of CPA Australia, we regularly undergo peer review examinations by independent parties to ensure that our internal accounting procedures meet the highest quality standards of our profession. As CPAs, our professional staff are required to undertake ongoing Professional Development and Training, in accordance with the requirements of CPA Australia. We understand the challenges you face of being an expert in your field, while running a profitable business. That’s why we are glad to take the tax, accounting and business advisory burden for you, freeing you up to do what you do best. Consider us your partner in business. The Accountancy Group team is a dynamic group with complementary skills and an excellent balance of experience, qualifications and can-do attitudes. With qualified Certified Practising Accountants (CPAs) and Chartered Accountants (CAs), SMSF specialists, financial planners and support staff, Accountancy Group is equipped with the resources and the knowledge for all your accounting and tax needs. Meet the executive team that leads it. Manuel Tsirmiris is the Managing Director and founder of Accountancy Group. An entrepreneurial accountant, he works closely with SMEs as well as larger corporate entities, some ASX-listed entities. Manuel’s tax, corporate & management experience provides his clients with additional finance and corporate experience ensuring corporate & financial governance. 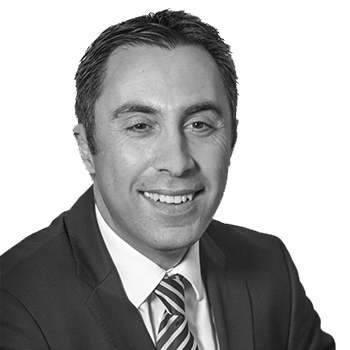 Manuel has over 25 years experience, holding a Bachelor of Business and is a qualified CPA, SMSF Auditor and a Fellow of the Tax Institute.